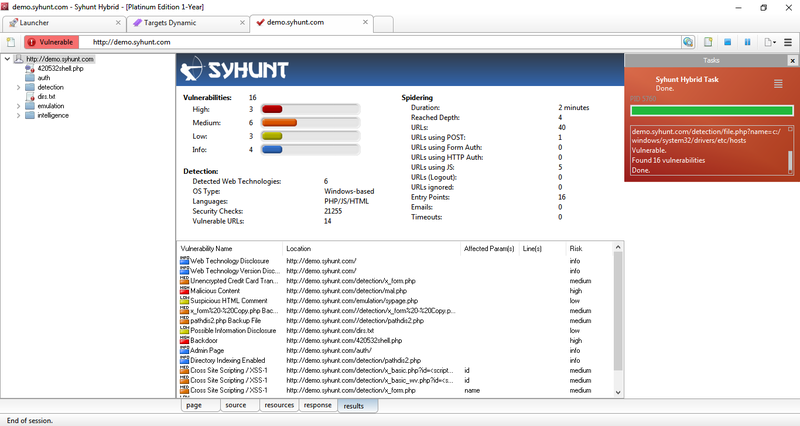 After a year of intense research and development, we're very proud to release version 6.0 of the Syhunt Hybrid application security testing suite. With its huge list of updates, the new version marks its most drastic evolution yet and a major overhaul of both its scan engine and user interface, adding advanced fingerprinting capabilities, enhanced spidering, injection, browsing and code scan capabilities, and a large number of improved checks. The new release adds the display of Hybrid, Dynamic and Code detailed scan statistics and progress both to the user interface and the command-line tools, and restores the site tree, implemented from scratch with the level of attention that it demanded. 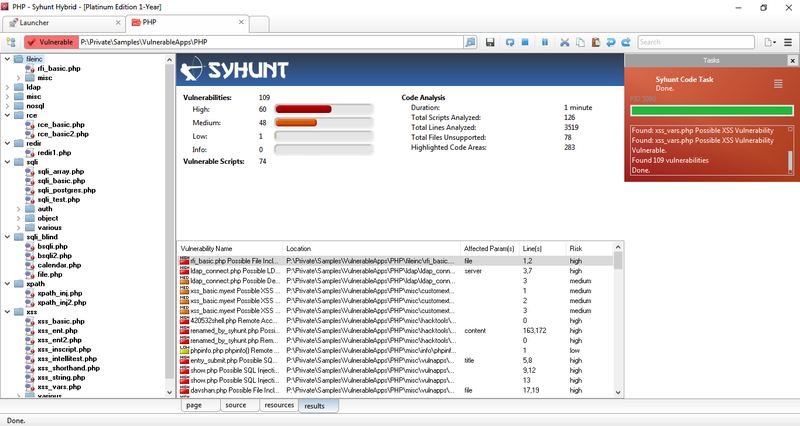 Because of the so many vulnerability checks and mutations added to this version, we developed an advanced and automated fingerprinter tightly integrated with the crawler that automatically maps all the web site technologies and optimizes a scan - this means that Syhunt Dynamic 6 checks are now executed based on the detected web technologies and platform, saving considerable time. 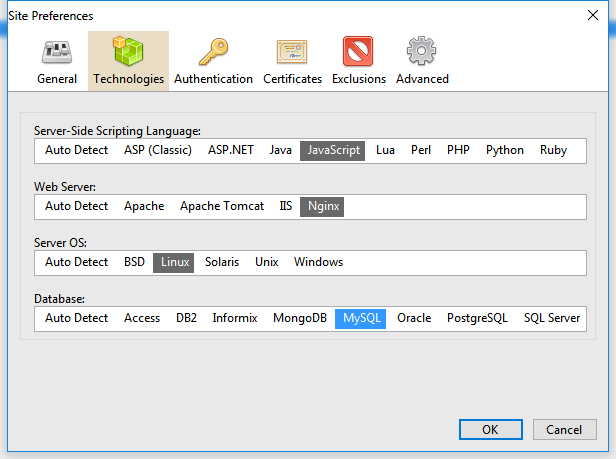 The newly added Technologies tab part of the Site Preferences screen allows, if you prefer, to manually set the server-side scripting language, web server, OS and database for a target web site before starting a scan. In addition to the changes above, the Checks screen has been revamped to accommodate a large number of newly added checks - you can find a list and details about the new checks at the end of this page. This release comes with a four-step vulnerability rating (High, Medium, Low, Info). We added the Info risk classification and removed the Minimal risk classification. Vulnerabilities previously marked as Minimal risk were assigned a Low or Info risk depending on each case. Malware Content - Added to both Syhunt Dynamic and Syhunt Code, allows to scan specifically for malware content, web backdoors, hidden debug parameters and signs of hacking. Passive Scan - Added to Syhunt Dynamic, allows to scan specifically for Common Exposures, Source Disclosures, Web Technology Disclosures, Suspicious HTML Comments and Malicious Content within a website's surface. 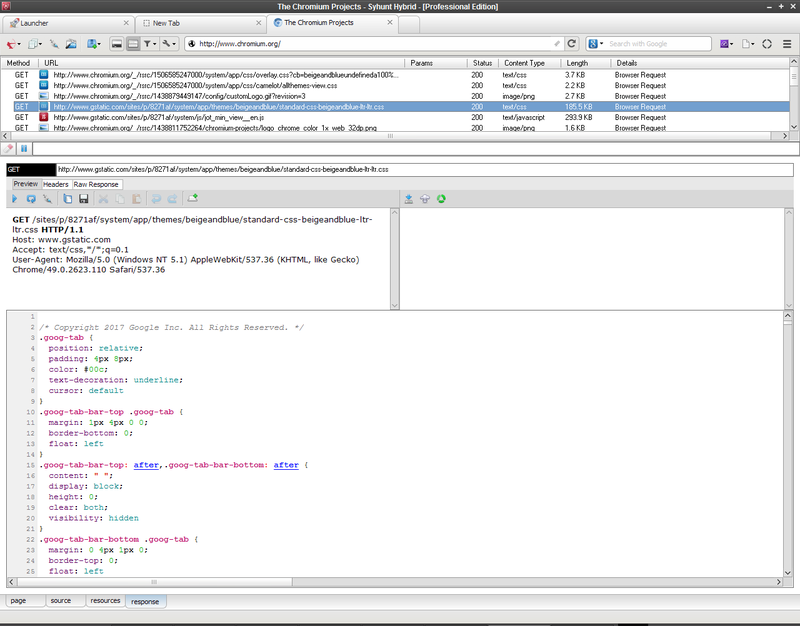 Added an option for enabling/disabling the use of Referer in HTTP requests (enabled by default). Improved entry point mapping - Added detection of new entry points in PHP code, allowing additional vulnerability cases to be detected. Simplified the tabbed UI - Major tab code clean up and reorganization. Disabled the Chromium's XSS protection - especially useful for performing manual testing or manually confirming XSS detection cases. Web Technology Disclosures - Reports if the version of a detected web technology is being disclosed. 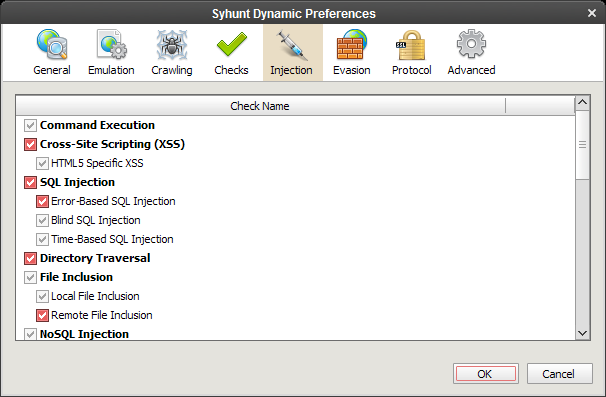 SQL Injection - Added additional checks for error-based SQL Injection, and improved checks for MySQL. HTML Comment checks - Introduced a more advanced parser, added support for JS comments, added several new checks and eliminated false positive cases. Multiple Disclosure checks - Revised checks for multiple disclosure flaws (divided into Path Disclosure, Password Disclosure and Information Disclosure). Fixed a case that could result in duplicated Path Disclosure reporting. Suspicious HTML Comments and Directory Listing checks - Introduced a new, extended check database and eliminated some possibilities of redundant reporting.